With a rich family heritage in haulage we are proud of our long dependable reputation dating right back to 1967. 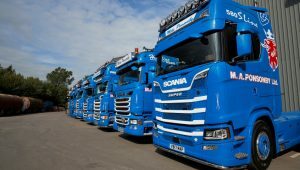 Unbeatable services offering the best that transport can offer operating a modern fleet of maximum load capacity Scania tractor units. 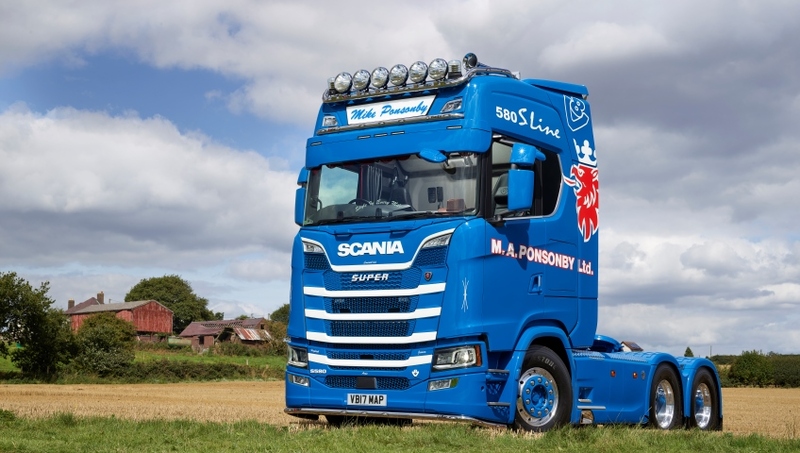 Mike Ponsonby is the Grandson of Denis Ponsonby who founded D. J. Ponsonby Ltd in 1962 with a Standard Ensign Van. Grandad Denis died in October 1996, but his memorable stories remain to this very day, with many humorous tales of profitable business activities in the interim years. Mike A. Ponsonby wanted to follow in his Grandfathers great footsteps and decided to form his own company on 3rd April 2003. 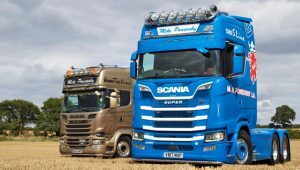 As such, Mike has steadily grown M. A. Ponsonby Ltd into a high profile company with a fleet of 10 Scania trucks and 20 specialised trailers. The Company is committed to Safety, Customer Service and excellent timekeeping, further strengthening the ongoing success of the business and continuing the legacy of Denis Ponsonby. 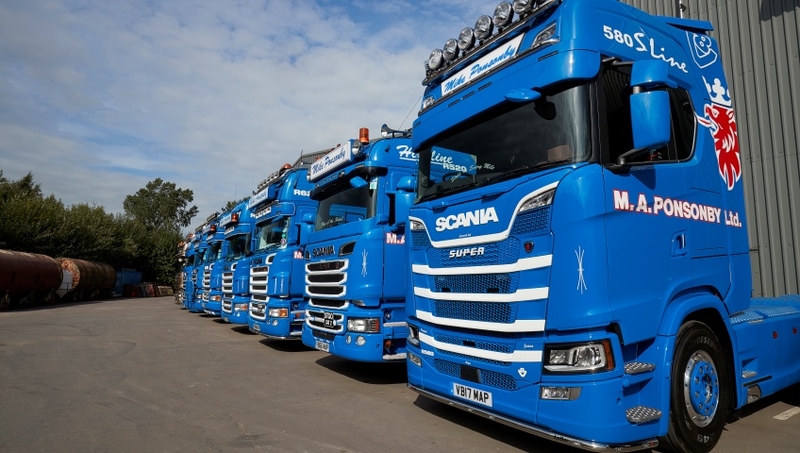 At MA Ponsonby, we operate a modern fleet of maximum load capacity Scania tractor units. These have been selected and specified with safety, fuel economy and environmental effects in mind. All vehicles are fitted with satellite tracking for constant vehicle movements and updates. Our wide variety of trailers are maintained to strict standards. They include flat low loaders and extendable trailers and other variants suitable for specialist customers with abnormal loads in crane loading, railway operations, tracked vehicles and the construction industry. 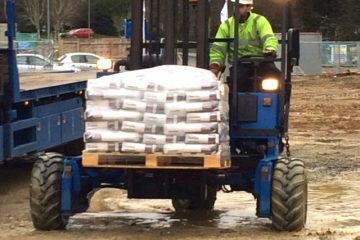 Our trailers are capable of dealing with a very wide range of loads and customer circumstances, as the photographs indicate. 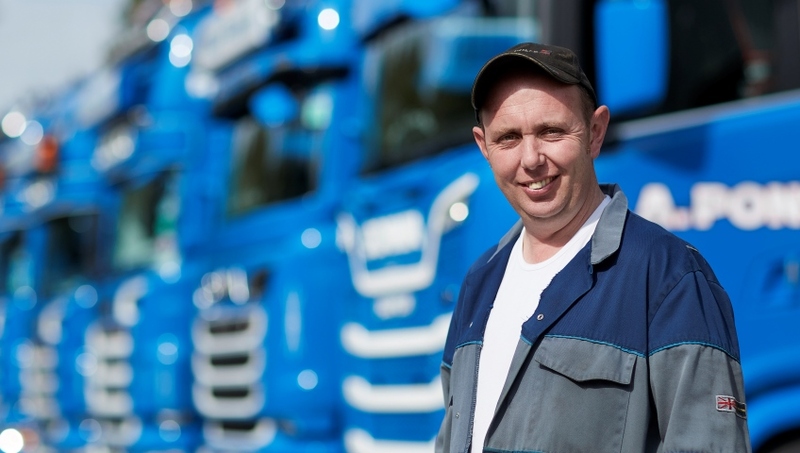 We recognise the benefit to our customers of helpful, well-presented drivers delivering their goods. All our drivers wear our uniform. They are issued with personal protective equipment as the loads demand. All our drivers are contactable by hands-free in-cab phones. This enables us to update them with our customer's requirements as necessary and maintain early morning and overnight schedules. We are committed to excellence in customer service for all our clients. 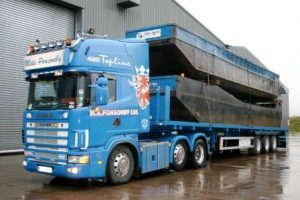 At A S Taylor Transport, we have known M A Ponsonby Ltd for many years and have always found them to be highly professional in their approach to the work they are given. The equipment is well maintained and always fit for the job. The drivers are a credit to the company, and we would have no hesitation in recommending them to anybody. We have been using M.A. Ponsonby Transport Ltd for over 3 years now. 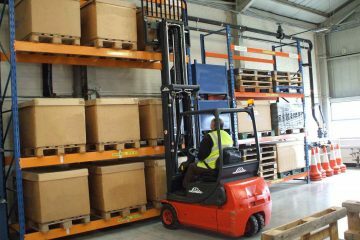 Throughout this time they have undertaken our external plant movement requirements. They have always proved to be a very flexible and reliable company to use, and we would recommend them. 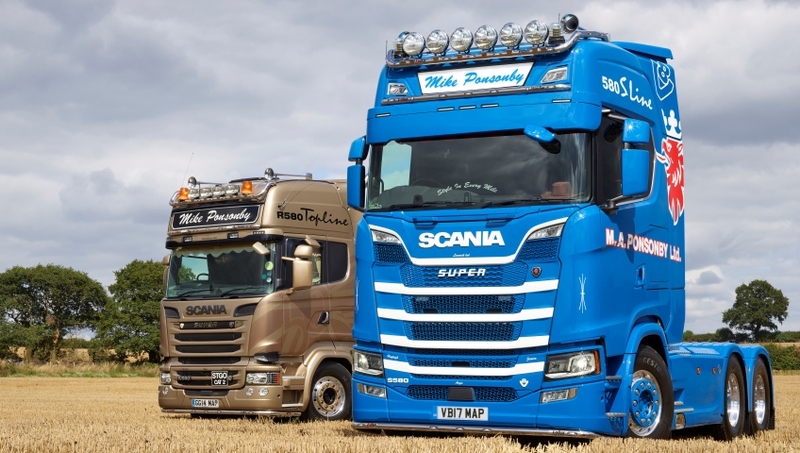 We wouldn’t hesitate to recommend the services of M A Ponsonby Limited, always well turned-out vehicles, helpful and conscientious drivers, and they keep us informed when anything changes unexpectedly. 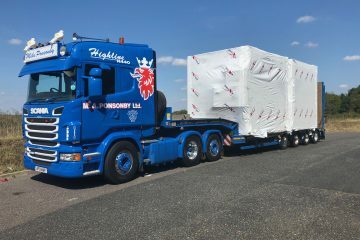 We use M A Ponsonby haulage on a regular basis for both U.K. and European work and have always found them to be incredibly helpful and professional to deal with. They also hold F.O.R.S. 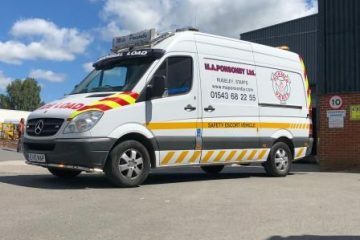 Gold Standard, which gives our customers confidence that the vehicles and drivers that turn up on site, are professional, courteous and are given continuous training to achieve and maintain such a high accreditation. This also shows what a professional company they are, that they continue to invest in their staff and fleet. They run a wide range of vehicles, including a HIAB and have always managed to accommodate us, no matter how late the call is to get us out of a mess. 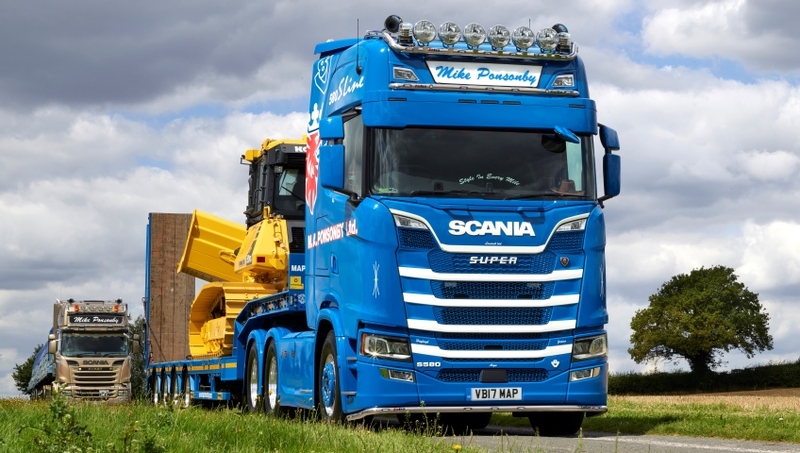 Nothing is too much trouble for them and all I can say is – if Carlsberg did haulage companies…………..
We have been using the services of M A Ponsonby Ltd for a number of years now to transport our Tugs across all parts of the UK. 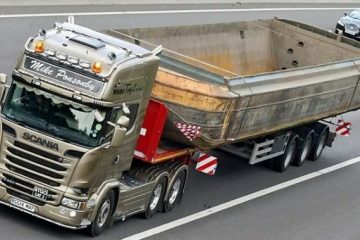 I cannot recommend the company highly enough as they provide an outstanding, professional service, nothing is too much trouble and they are always pull out the stops when we need to get a Tug transported at short notice. 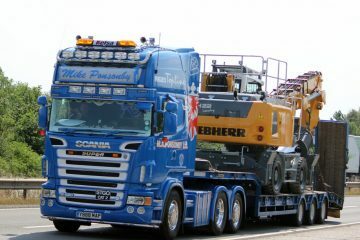 They have the right equipment on their low loaders for carrying our Tugs safely and securely to their destination. With their satellite tracking on the vehicles we can let our customers know when they will be arriving at the site. They are very competitive on their prices. They work with us closely as a team to get the job done. A huge thank you to Mike Ponsonby, your team and here’s to many more years working with you.